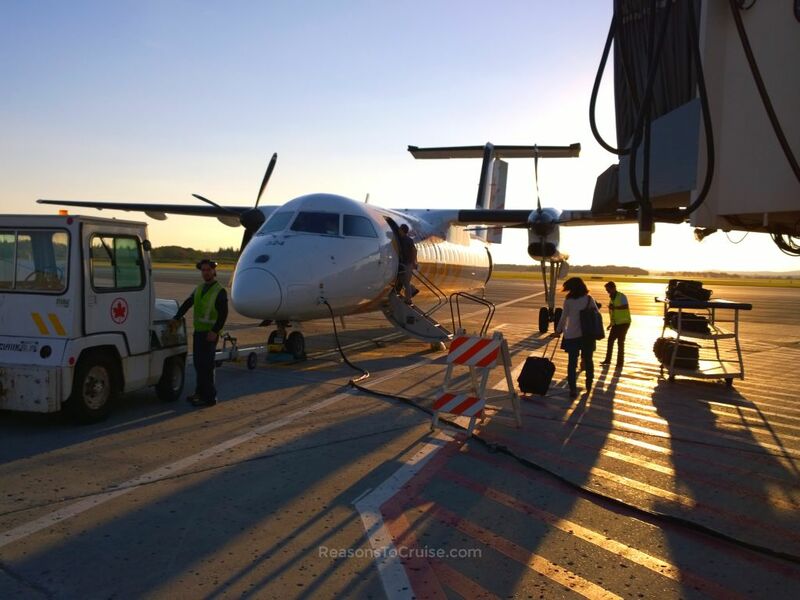 I flew one way from Québec City Jean Lesage International Airport (YQB) to London Heathrow Airport (LHR) via Montréal–Pierre Elliott Trudeau International Airport (YUL). My first time in a 50-passenger Bombardier DHC-8 Dash 8-300 propeller aircraft was certainly a different experience to flying in a large passenger jet. The small size of the plane gives a hint of the jet-set lifestyle although the worn and battered cabin interior failed to keep up that illusion. A mechanical problem delayed the arrival of the aircraft. The delay lengthened as the pilot requested a visual inspection from a maintenance crew as we sat on the tarmac, propellers whirring. Very stable flight - For such a small plane I was expecting a lot of turbulence, but thankfully atmospheric conditions were just as kind as the weather had been on my entire trip. A nippy little plane - The small plane was very plucky, sprinting along the taxiway. In the air, it felt a little slower, perhaps impacted by the relatively low cruising altitude. The low altitude afforded lucky window seat passengers, myself included, with fantastic views over the long and narrow strips of farmland in the Province. The best view was over the Montréal Olympic Park on the landing approach. Unexpected bar service - With a single cabin crew member I did not expect to see a drinks cart pushed along the aisle. More so, I did not expect the airline to offer complimentary beverages on short flights as it did. Decent legroom - For such a small plane I expected the seats to be cramped, but with a seat width of 17 inches and a seat pitch of 31 inches it matched the same specifications as the Economy seats on my long-haul flight. The seats on the Dash were much lower in height though with no headrest to speak of, and were a less comfortable than those on the 777. The noise was borderline unbearable - I expected more noise than a 400-passenger Boeing or Airbus passenger jet but didn't expect it to be as loud as it was. When you cannot hear the stewardess on the speaker system and have to rely on hand signals to replace conversation, you know it is loud! Flying from Québec City to Montréal takes just 50 minutes but requires you to be at the airport for at least an hour before take-off. For reference, a VIA Rail Canada train takes three hours for the same journey. Don't expect to find much to do on the aircraft. There was not an entertainment system, and it was incredibly noisy. Opt for a window seat if you can. Pair the relatively low altitude with fine weather for great views along the Saint Laurence River. A delayed departure time and a very tight connection window led to a sprint through the terminal at Montréal. In true fashion, my gate was on the other side of the large airport. Ordinarily, 90 minutes for a connection would be okay providing everything runs on time, but if you are planning a similar trip, I would suggest allowing more time than that. Read my review of Air Canada transatlantic flights between Heathrow and Montréal. Have you flown between Québec City to Montréal or did you take the train instead? Leave a comment below. Disclosure: Montréal and Québec tourist boards supplied my flight. The opinions in this article are my own. The seats in this small, noisy aircraft were tired and worn. There was no on-board entertainment. 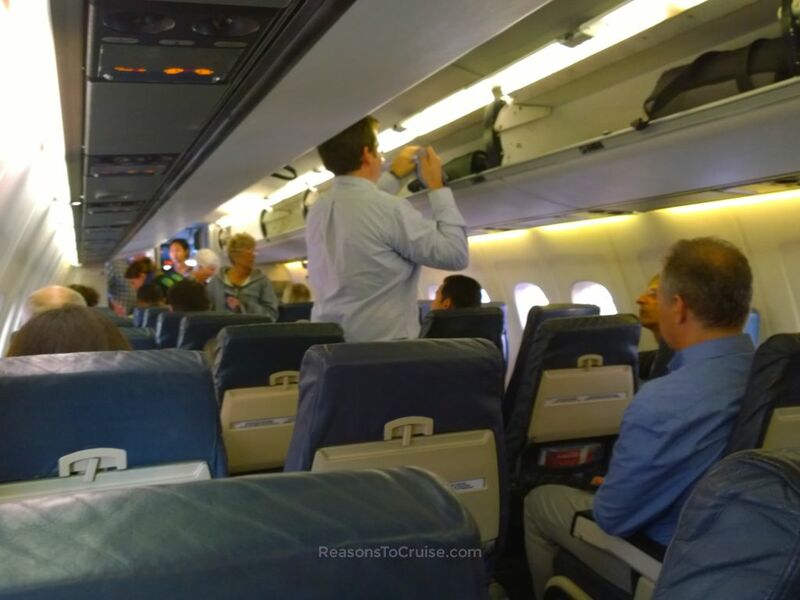 Despite there being just one member of cabin crew onboard, a drinks service was offered.